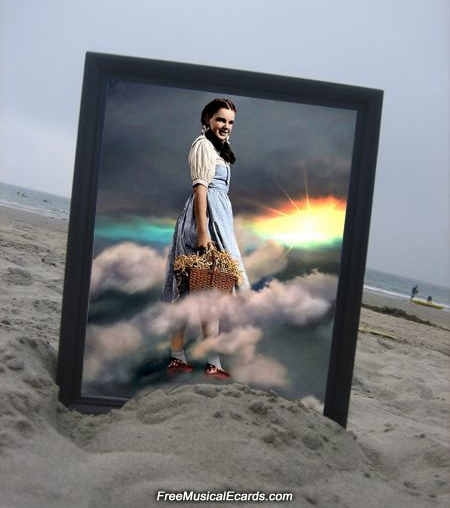 The Wizard of Oz beauty, Judy Garland as Dorothy framed photo on the beach. Oh My Lord! I am forever shocked and blinded! I copied and pasted that picture.